This type has 2.5mm 3 conductor(stereo) mini plug and DIN 5Pin interconecting jack. 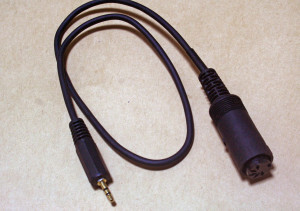 OFC cabels and gold plate plugs are used for this. 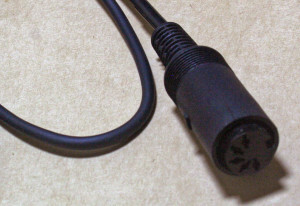 This cable has no compatibility with Korg’s SQ-1’s MIDI Port.